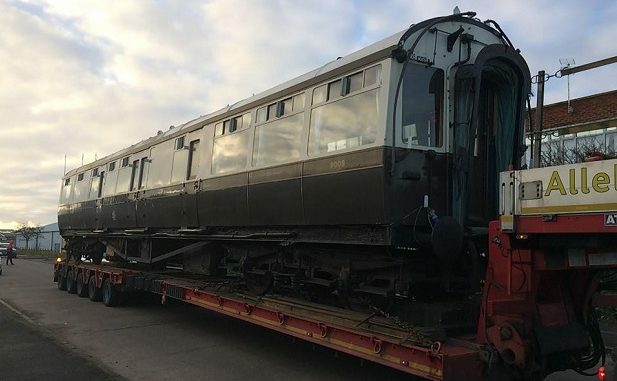 A Great Western Railway coach has arrived in Margate today (January 3) for storage. 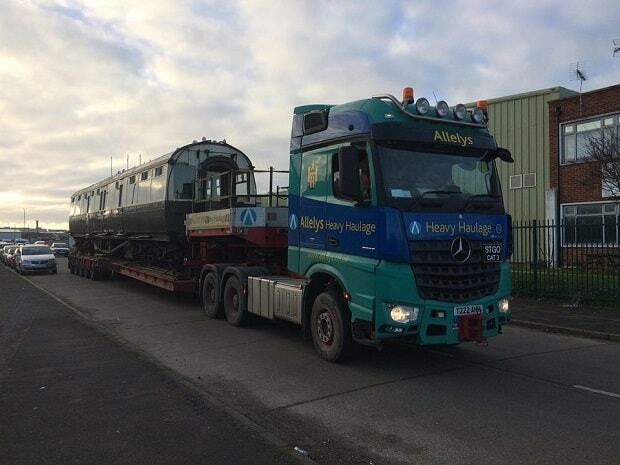 The Collet coach has been transported from Buckfastleigh. The GWR built eight coaches known as “Super Saloons” and named after members of the royal family, which were planned to be more opulent than the Pullman Company carriages created by rivals for boat train traffic from London to Plymouth. 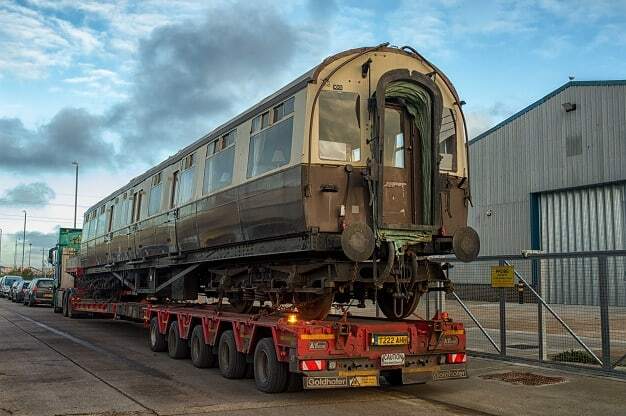 Withdrawn from active service in 1967, five of the original coaches survive, The coach now housed at Margate, coach number 9005, although not a super saloon, was a Collett design of the Great Western Railway. It was constructed for use on the Ocean Liner Express from London Paddington to Plymouth Millbay in 1931. 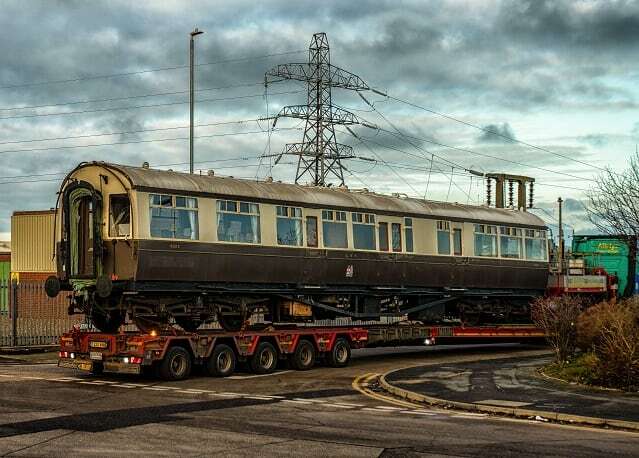 It carries its original GWR livery and is classed as a special saloon carriage. It was based on the south Devon railway, at Buckfastleigh near Newton Abbot, where two of the Super Saloons form part of a dining train, 9115 King George and 9116 Duchess of York. Super Saloons 9114 Duke of York, 9115 Duke of Gloucester and 9117 Princess Royal were all scrapped – 9112 Queen Mary, 9113 Prince of Wales and 9118 Princess Elizabeth are all preserved at Didcot Railway Centre. Locomotive Storage, at the Hornby Hobbies site in Ramsgate Road, operates a storage and maintenance business for classic railway locomotives and heritage rolling stock. Its main depot facility is in Crewe but the company also bought the Hornby factory site at Westwood in February 2017. I’ve experienced excellent service and facilities on both GWR and LNER. 1st class, of course. Not on the normal services in Japan they are not – only the expensive flag-shi[p ones. You need to compare like for like – not everything in Japan is that wonderful – apart from time keeping, possibly, and that comes at a price to the employees, believe me. Japan is good, but not that superior all things considered.